A true NFL fan will display his or her team’s colors absolutely anywhere: on clothes, at home, across a bumper sticker and even painted on skin. A fan wears team colors with pride and isn’t afraid to do so in both winning and losing seasons. But why do some teams have the colors that they do? Some teams have more obvious reasons than others, but they all have one thing in common: Their colors tell a passionate story of regional pride and history. Here are a few of those stories. 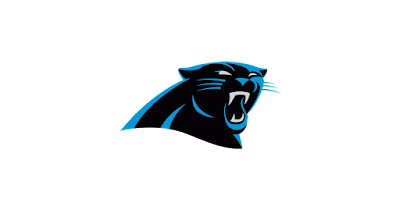 The Carolina Panthers joined the NFL on October 26, 1993, making the team one of the newest in the NFL. After much deliberation, it decided to be the rallying team for both North and South Carolina. The team wanted a name and color scheme to represent the power of the region, thus landing on the Panthers and a logo specially crafted to represent the geographic outline of both Carolinas. Inspired by the deep black of panther fur and a beautifully contrasting silver, the team landed on “Process Blue,” just a few shades lighter than Duke’s blue and a few shades darker than North Carolina’s. Normally, the Panthers wear white jerseys with white pants or black-and-blue jerseys paired with silver pants. There have only been a few exceptions to these combinations, one of which was in 2012 during a game against the Denver Broncos, when the team paired its black jerseys with new black pants. This all-black uniform won the "Greatest Uniform in NFL History," a fan-voted contest run by the NFL, in July 2013. While it is not clear whether the team will wear that uniform again, the Carolina Panther blue will always stand as one of the boldest in the NFL. 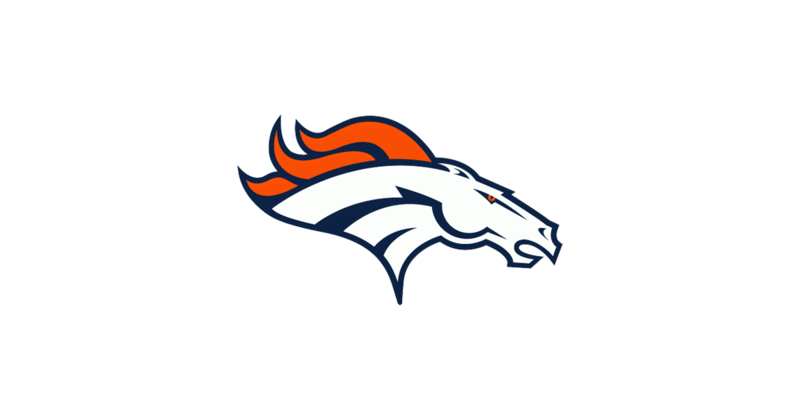 The Denver Broncos were founded on August 1, 1959, and made their debut in the NFL in 1960 with mustard yellow and white jerseys and brown pants. These original uniforms were borrowed and old and didn’t excite the Denver crowds. Eight years later, the team revealed the “Orange Crush” and bright-blue color scheme. These were much softer colors and were quite unprecedented at the time. They drew large crowds, not only because of the interesting contrast, but also their ability to always be seen. The orange contrasts beautifully with the blue sky at games, making the Broncos’ stadium and crowds some of the most photogenic in the NFL. The colors stand out in rain, snow and fog and can’t be washed out. The Broncos redesigned its logo and helmets with navy blue replacing royal blue and quickly became one of the most popular teams in the NFL. The Orange Crush continues to wear one of the most recognizable color schemes in the NFL today. 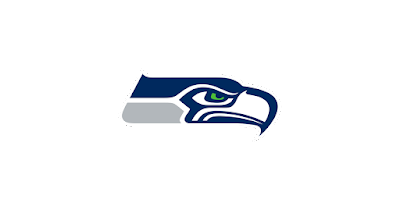 Joining the NFL in 1976, the Seattle Seahawks were the only NFL franchise in the Pacific Northwest region and still are today. As an expansion team, the founders had the opportunity to think about who they wanted to be and what their region stood for. Paying homage to Northwestern tribal art with the Seahawk logo, they created a slightly monochromatic color scheme with royal blue, lime green and a shimmery silver. A few decades later, the team debuted the “Seahawk Blue,” a slightly darker navy, with more metallic gray in the uniforms. No other team has used it previously, as it was custom made for the Seahawks by Nike. This color scheme is another standout in the NFL. 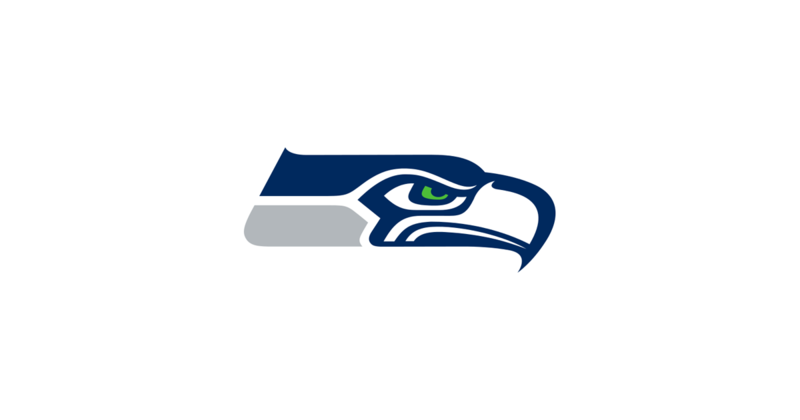 Many teams today have opposite tones as their official colors, but the Seattle Seahawks have found an image for themselves with two colors that blend well together while contrasting drastically. Seahawk fans are immediately recognized in a crowd and have a color scheme that beautifully represents the geographic region. The Seahawk Blue is a true standout in the NFL. 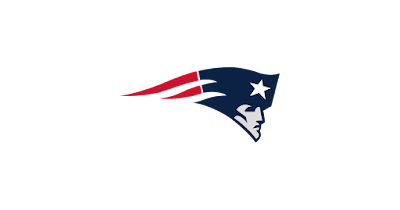 After 10 years of poor attendance and countless losses, and after moving home stadiums, the Boston Patriots joined the NFL as the New England Patriots as part of the 1970 NFL-AFL merger. The Patriots adopted the name for its regional historic nature: patriotism. And with the name Patriots, it was a given to have red, white and blue as the color scheme. Originally, the team had bright red uniforms, something no other team in the NFL had at the time. However, these were paired with a tri-corner hat logo that was very hard for fans to make out. Pat the Patriot, a new logo with a patriot hiking a football, replaced the hat, but when the team continued to lose, it needed to be revamped, starting with its image. The Flying Elvis, the logo the team uses today, was rolled out in 1993 along with dark-blue and white uniforms. This was the beginning of the team’s winning streak and sparked its seven Super Bowl visits and four Super Bowl wins. The colors are classic and American and represent the region with pride. On August 11, 1919, the Green Bay Packers were founded, later joining the NFL in 1921 as the third oldest team. Founder Curly Lambeau received funding from his employer, the Acme Packing Company, which is where the name Packers comes from. Lambeau, a graduate of Notre Dame, borrowed the school’s navy-blue and gold as the team’s original colors. It wasn’t until 1950, when the team added green in an effort to separate itself from the university, that it became the recognizable team that it is today. The team’s current color scheme is a yellowy gold and forest green. Its uniform combination of green, white and gold was adopted right after Vince Lombardi arrived in 1959. The team redesigned its logo to include the iconic oval “G” and put this mark on the side of every helmet. This unique yet simplistic design perfectly represented the loving community-owned team and its fans. 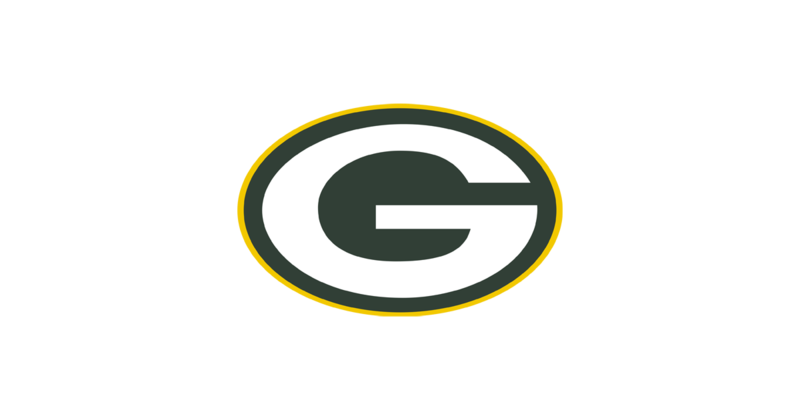 Forest green is one of the least-used colors in the NFL but is still packed with Green Bay Packer pride. 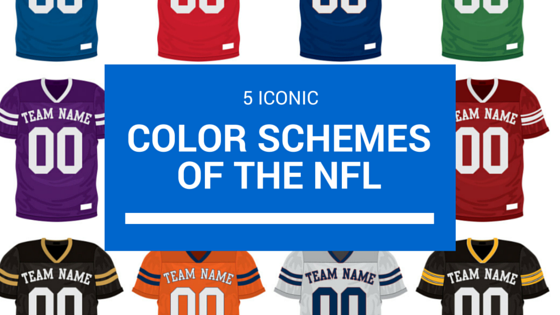 What's your favorite color scheme in the NFL? Is it different than what your favorite team wears on game day? Sound off in the comments below! 1. 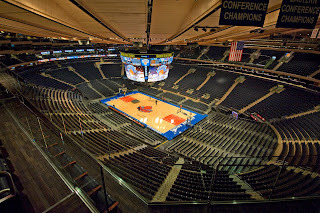 Madison Square Garden – The Garden has had several different iterations over the years, but the arena as it currently exists opened in 1968 and has hosted plenty of great moments and championships for the New York Rangers. While it has its fair share of design quirks that have required several renovations over the years, the amount of unforgettable sports moments the venue has hosted make it a sports mecca. 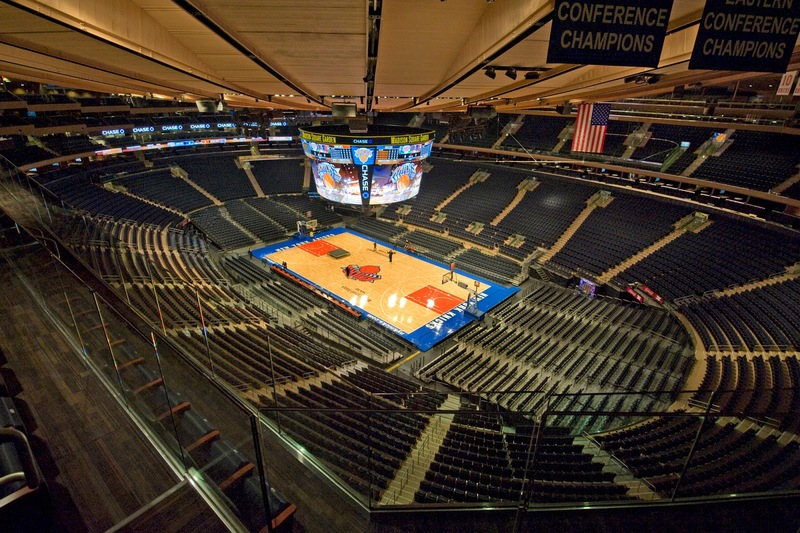 Did you know the continent’s first artificial ice rink opened at Madison Square Garden in 1879? 2. Fenway Park – The iconic home of the Red Sox opened its doors for games in 1912. Many of its unique design elements, such as the uneven outfield wall dimensions (and the massively tall left field wall known as the Green Monster), have been copied by dozens of more modern baseball venues to one degree or another. Fun fact: The Green Monster wasn’t always green. The park was open for 35 years before the wall was painted and got its famous moniker. 3. Lambeau Field – While it may have undergone some renovations in recent years to bring it up to date, Lambeau Field has long been considered an American football landmark. Initially called City Stadium, it was renamed after former coach Curly Lambeau and is the oldest stadium in the NFL. 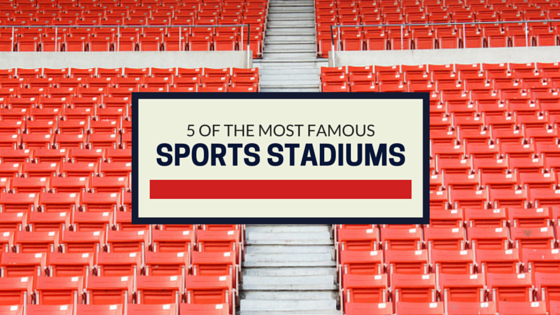 Did you know it also hosted the coldest NFL game on record? The temperature during the 1967 NFC Championship against the Dallas Cowboys was a balmy, comfortable -25 degrees. 4. The Palestra – The home of several of the University of Pennsylvania’s varsity sports teams opened in 1927 and, at the time, was one of the largest basketball arenas in the world with a standing capacity approaching 10,000. Design-wise, it was one of the first in a wave of arenas that were ahead of their time in featuring a suspended roof without any view-obstructing posts. Its arched steel beam design gives every spectator the best seat in the house, and its style has been replicated in arenas across the nation. 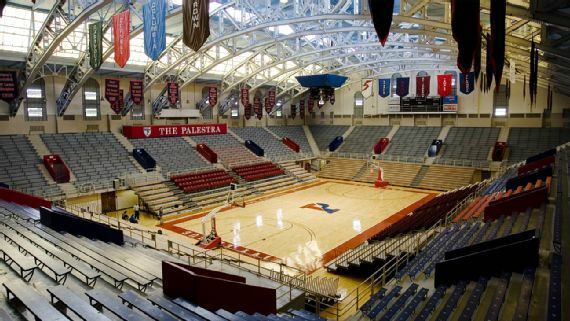 Dubbed the Cathedral of Basketball, the Palestra was named by Dr. William N. Bates, a Greek professor at Penn. “Palestra” is an ancient Greek term referring to a rectangular enclosure attached to a gymnasium where Greek athletes would compete in front of an audience. The term fits, since the Palestra is attached to Penn’s Hutchinson Gymnasium and hosts basketball, wrestling and volleyball. 5. Wimbledon Centre Court – You’d probably be hard pressed to find any tennis fans decked out in striped overalls at this venue, but that doesn’t change the fact that it’s one of the most iconic locations in sports. Built in 1922, Wimbledon has hosted some of the most storied matches in the sport’s history and is still considered the pinnacle of tennis competition. Fun fact: Unlike other tennis tournament locales that have become more relaxed over the years when it comes to attire, any player who sets foot at Wimbledon must be clad almost entirely in white. Not even shoes can feature another color. There are plenty of places around the world to catch a game, but it’s the historic places that set the standard for all the venues that followed, and the history of those famous stadiums is what fans cling on to. What are some of your favorite moments from your favorite stadiums? Share them with us in the comments below!